Considering Tampa Bay's struggles against bad teams, the Rays will have their work cut out for them in a three-game series that starts Tuesday against the Baltimore Orioles. The Orioles (34-78) had the worst record in baseball entering Monday's games and yet took three straight from the Rays less than two weeks ago, scoring at least 11 runs in each game and outscoring the Rays by a 37-12 margin. The Rays (56-56) have tried to get themselves into wild-card contention, but their struggles against lesser teams -- they just were swept by the last-place Chicago White Sox -- keep them hovering close to .500. One constant for the Rays this season is success against longtime Tampa Bay pitcher Alex Cobb, who went to Baltimore as a free agent this offseason. Cobb had a great run for the Rays and a career 3.10 ERA at Tropicana Field, but he is 0-3 against his former team this year with a 6.06 ERA. [post_ads]Most recently, Cobb faced the Rays on July 26, giving up eight hits in six innings for another loss. He is 3-14 this year with a 5.83 ERA. Before this season, he had a winning record every year, save a 1-2 mark in a season when he came back from major surgery. Cobb is the second former Rays pitcher to line up at the Trop in as many games, as Sunday's White Sox win came with James Shields, Tampa Bay's career leader in victories and strikeouts, on the mound. The Rays continue to trade away key players. On Monday, it was shortstop Adeiny Hechavarria, who had been designated for assignment, getting dealt to the Pittsburgh Pirates for a low-level prospect. Add that to trading away opening-day starter Chris Archer to the Pirates and All-Star catcher Wilson Ramos to the Philadelphia Phillies at the trade deadline, after trading away three pitchers the week before. The return on one of those deals is former Pirates prospect Tyler Glasnow, who makes his second start for the Rays on Tuesday, having come over in the Archer trade. Glasnow went three innings in his Rays debut, striking out five and allowing just two hits and one earned run. His season ERA dropped to 4.27 with a 1-2 record, and he's pitching against Baltimore for the first time in his young career. 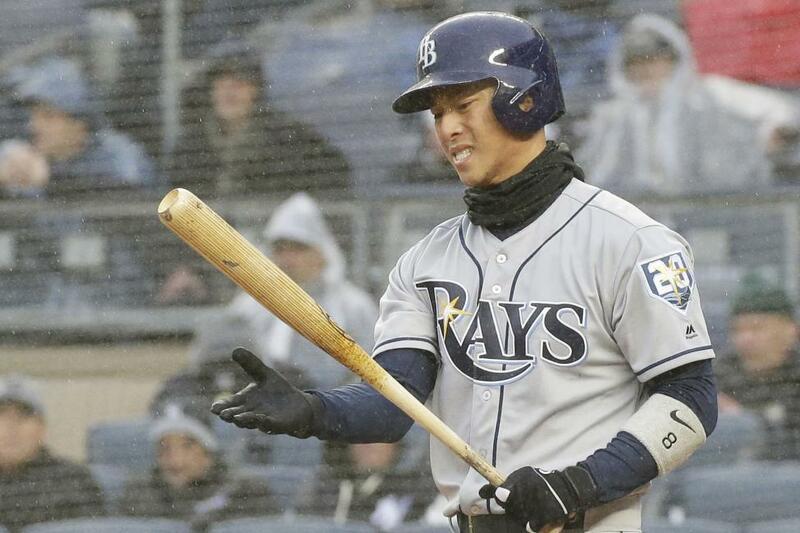 Injuries have hurt the Rays, even since the trade deadline. Outfielder Tommy Pham, acquired from the St. Louis Cardinals, broke a bone in a foot in his first week with the team and is expected to miss several weeks; infielder Daniel Robertson sustained a thumb injury that will require surgery and likely end what had been an impressive season. The Rays continue to turn to their young bats, like first baseman Jake Bauers, who has nine home runs in his first 187 at-bats; catcher Michael Perez, hitting .381 since joining the team, and shortstop Willy Adames, who has four home runs in his first 129 at-bats and will take over the everyday role with Hechavarria now gone.